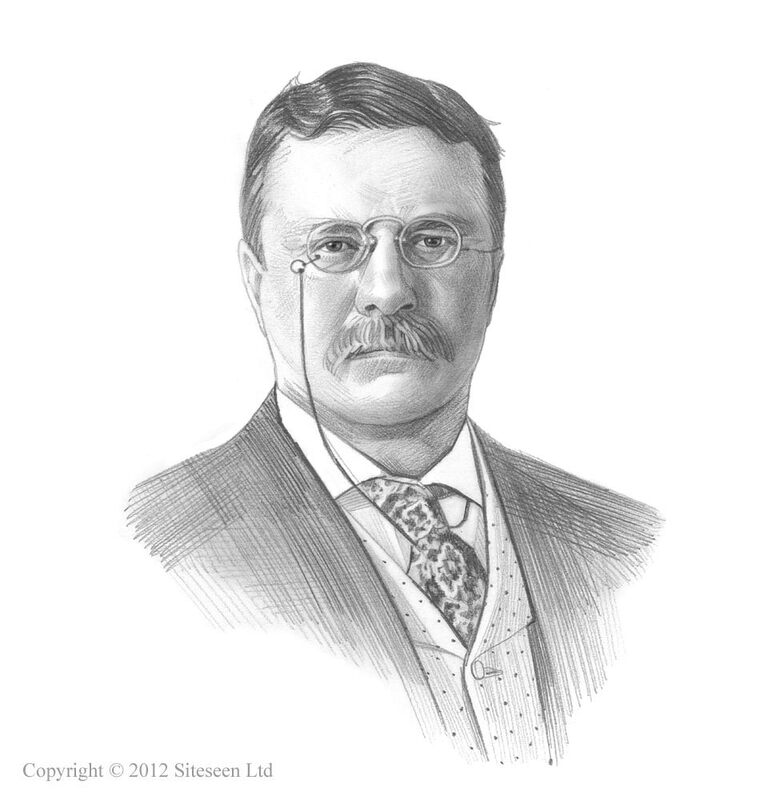 Panic of 1907: Theodore Roosevelt was the 26th American President who served in office from September 14, 1901 to March 4, 1909. One of the important events during his presidency was the financial Panic of 1907. Summary and definition: The Panic of 1907, also known as the Bankers' Panic or Knickerbocker Crisis, was a US financial crisis that took place in 1907 when the New York Stock Exchange fell nearly 50% from its peak in the previous year. The Panic of 1907 followed the devastation of the San Francisco Earthquake when many insurance companies went bankrupt and Stock Market shares began to fall. At the same time the banking industry was unsettled with the rising success of trust companies and refused to help the trust companies. President Roosevelt was a "trust-buster". The American public started to fear that the banking and trust industries were both experiencing liquidity issues and had the cash to meet immediate and short-term obligations. This resulted in bank runs and triggered the nationwide financial panic of 1907 that lasted for months. The banking industry was unsettled with the emerging successes of trusts companies and refused to provide financial support to the Knickerbocker Trust Company bank. The Knickerbocker Trust was unable to save itself from failure, and the public started to fear that the banking and trust industries were experiencing liquidity issues and the runs on banks began. President Theodore Roosevelt was also blamed for the panic of 1907 because of his anti-trust policies, which earned him the nickname of "trust-buster". Before the 1907 crash, Roosevelt had come into conflict with the powerful banker J.P. Morgan. The Panic of 1907 resulted in banking reforms and led to the establishment of a central American bank when the Federal Reserve was created in 1913 during the presidency of Woodrow Wilson. This article provides a Timeline of the events surrounding the Panic of 1907. 1890: The 1890 Sherman Antitrust Act attempted to clamp down on monopolies and protect against business practices that limited competition, or controlled prices. August 1907: President Roosevelt continued his "trust-busting" activities by levying a $29 million dollar fine against Standard Oil Corporation owned by John D. Rockefeller. Stock prices fell again. October 21, 1907: The National Bank of Commerce announced that it would no longer accept checks for the Knickerbocker Trust Company. October 22, 1907: There was a run on the Knickerbocker Trust Company bank. October 24, 1907: Banks started to collapse including the Twelfth Ward Bank, Empire City Savings, the Hamilton Bank of New York, First National Bank of Brooklyn, International Trust Company, Williamsburg Trust Company, Borough Bank of Brooklyn, Jenkins Trust Company and the Union Trust Company of Providence. October 24, 1907: New York banks stopped making the short-term loans that were used by stock traders and prices on the Wall Street Stock exchange began to crash. October 25, 1907: The panic continued to increase on Friday, October 25. J.P. Morgan attempted to get banks to make short term loans. Morgan made a statement to newspaper reporters: "If people will keep their money in the banks, everything will be all right..."
Saturday, Nov 2: Moore & Schley, a major brokerage, nearly collapses because its loans were uncertainly backed by the Tennessee Coal, Iron & Railroad Company (TC&I) U.S. Steel makes a proposal to purchase TC&I. November 14, 1907: Charles Barney, the president of the Knickerbocker Trust Company bank was not financially ruined by the crash, but he was ostracized from the banking community and could not live with the disgrace. He shot himself in the abdomen with a .32 caliber revolver and died the same day. Aftermath: Following the Panic of 1907 and the Stock Market Crash the Postal Savings System was established and it was decided that America to have a central bank and the Federal Reserve was eventually created in 1913.